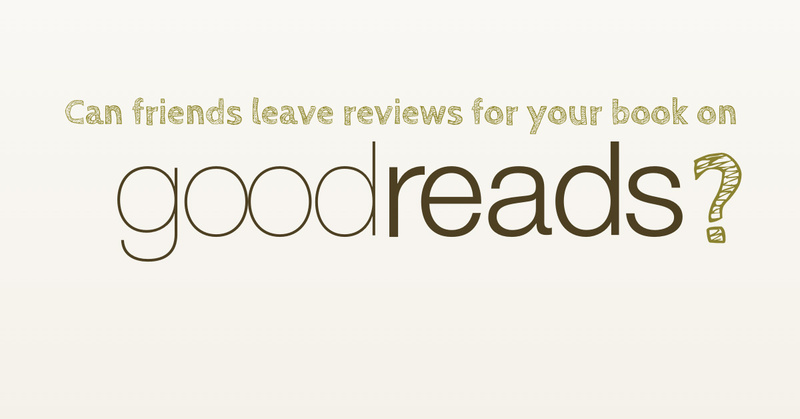 Can Friends And Family Leave Reviews For Your Book On Goodreads? In today’s article, we’ll have a look at how an author can use Goodreads to promote their books and make the most out of the largest platform for both readers and authors. And yes, we’ll find out if your friends or family members are allowed to write reviews for your book. Launched in 2007, Goodreads is home to over 75 million members (latest count, June 2018), traditionally published and self-published authors, countless bookclubs based on genre and of course, readers. Whether you saw this coming or not, Goodreads has been owned by Amazon since 2013, so it’s a fact, Amazon is everywhere. But that’s not all you can find on Goodreads, in fact, all the professionals in the writing industry are there too, so you’re one click away from your Beta Readers, Book Reviewers and Professional Editors too. Even the Book Cover Designers are on it! I found my editor on Goodreads and she is heavenly! TIP: If these professionals are searching for their clients on Goodreads, chances are they will be more affordable than most (from my experience at least). Having your book on Goodreads will give you a lot more exposure as an author and open the door to a world of readers and professionals. If you’re an upcoming author, I wrote some articles with everything you need to know in your journey From Writing To Publishing, so if you’re curious, you’re only one click away! The only thing left to do now is get a profile on Goodreads and join in on the fun! How Can I Become A Goodreads Author? Without these details, you cannot access the Author Program and become a certified author. Even having everything ready, the process is not automatic, so I’m going to assume your profile is ready, your picture is up and you’ve added some books to your listings and reviewed some others (always give back to the community). I cannot stress enough how important it is to be a contributing author if you want to make a name for yourself, especially if you are self-published. 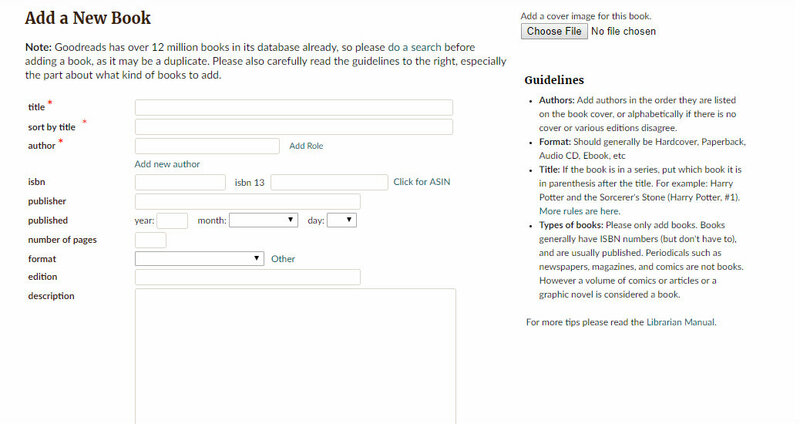 Here we go, now to the top search box – click and enter and select “manually add a book”. Make sure you fill in all the details. If you haven’t published your book and you don’t have an ISBN number yet, know that you’ll be able to add it later. For now, just make sure you have the final book cover to add. This is an imperative step, and without it, Goodreads may crop a cover from your website (assuming you have one) and paste it there. 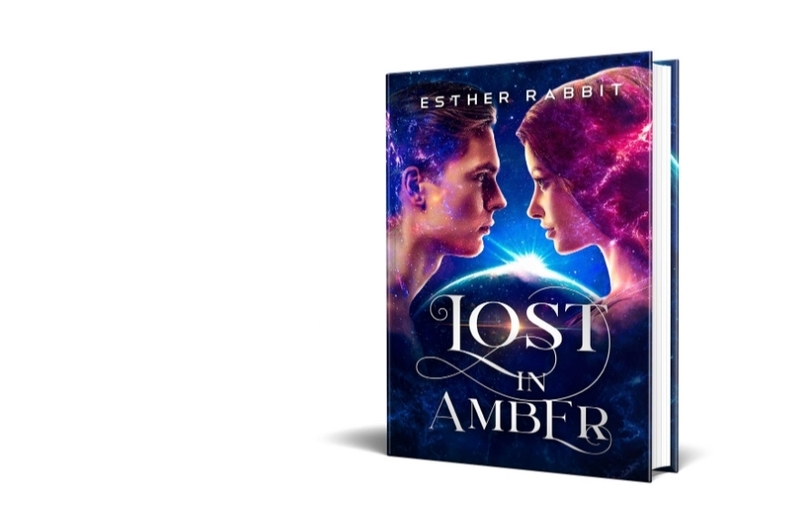 That’s right, because I was under the impression I could just add the cover later, Goodreads just cropped one from my website, so make sure you learn from my mistakes. What has been clear to me from the very beginning is that Goodreads as a platform needs a good makeover. It’s not as user-friendly nor as intuitive as it should be. After submitting your book you have to scroll down and look for the super tiny “Is this you? Let us know!” and that’s where you have to submit all the details. It took Goodreads two emails and a couple of days to get back to me with a shiny badge. So now you’re in, you’re an author with a badge! What next? Because the platform is not really intuitive, I’ll take you through all the steps of what you have to do in order to set up a professional looking page and gain exposure. If you have a blog, make sure you connect it and establish yourself as a contributing member. If you want to start your own blog on Goodreads, that’s also a possibility, although if you ask me, traffic should be directed to your author platform instead of third parties such as Amazon’s Author Central or Goodreads’ own integrated blog. The more complete, the more professional. You can add your author website and links to your Social Media profiles. Here’s where your readers can make a difference and add your book to a relevant list. There’s a list for every genre out there and yours shall be no exception. 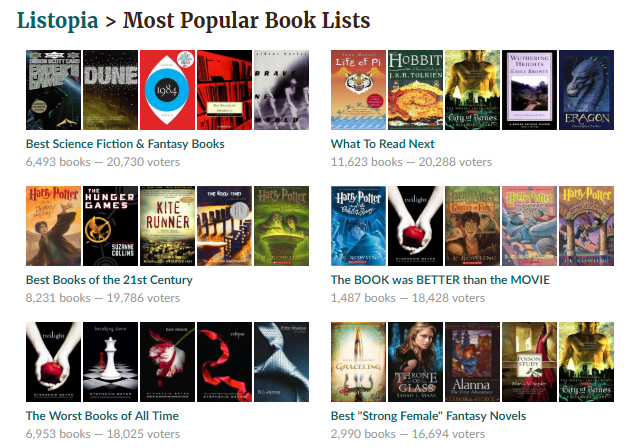 The more votes your book receives, the more interest it shall spark to lovers of the genre. Ranking high on Listopia will make a tremendous difference that may lead to an increase in sales. 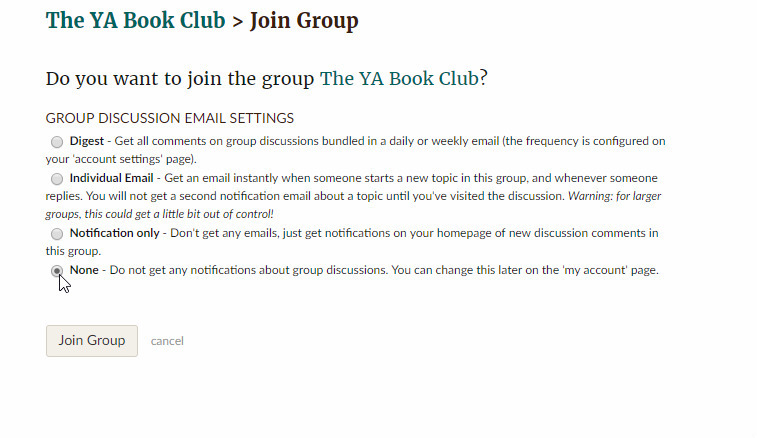 What Are The Best Groups To Join On Goodreads As An Author? Upon joining, take into consideration the number of active members and of course, group rules. If you’ve joined a Young Adult Bookclub, you can ask advice about writing certain scenes, about reading preferences, but beware of shameless self-promotion, or you can get kicked out as soon as you got in. The main idea is to connect, participate, get involved, ask and answer questions and be an active member of the community. It’s not enough to write a book, you have to make yourself seen, give before expecting to receive and make long-lasting meaningful connections with both readers and writers. Time consuming? Yes! Welcome to the business! My personal preference is “None”, so I can go select the discussions I want to participate in, and not receive everything in bulk. That is naturally, a matter of preference. All these wonderful professionals are only a message away and they’re all very quick to reply. If you’re interested in hiring someone, make sure to give them all the details of your manuscript first (length, blurb, genre, service needed) and request an offer. If you’re Hiring An Editor, make sure to make a selection first, offering a 1000 word sample from your manuscript to be edited. It’s all about visibility, so put yourself out there and don’t be shy to sing your praises, you’ve worked hard enough! This is a life lesson I’ve learned a few years back, the most acclaimed professionals of the industry are not always the ones with the best content, but the ones who were smart enough to seize the moment, grab the opportunity and make the necessary noise to be heard. Excessive modesty doesn’t guarantee sales, in fact, quite the opposite. Of course, this all depends on what you aim for as a writer. If you took writing as a personal challenge and your only mission is getting your book out there, you don’t have to stress over these details, however, if you aim to make a profit, getting informed and involved is mandatory. All Of This Is Fascinating, But Can My Friends And Family Write Reviews For My Book On Goodreads? At the beginning of this article I told you Goodreads is owned by Amazon. We all know Amazon is ruthless and has a really strict policy when it comes to your family & peers reviewing your work (they see you when you’re sleeping, they know when you’re awake!). Make sure you check Amazon’s Guidelines On Reviews beforehand (due to their extraordinarily strict policy, some authors were even kicked off the platform and cannot sell their books there any longer). Goodreads however, has a “more relaxed” approach, and by more relaxed I certainly don’t mean super permissive. If they catch you doing the nasty, they send you a warning saying that all your reviews run the risk of being removed (and they probably will). To get to that sanction, someone has to report one of your reviews and notify Goodreads, so make sure you spread glitter and make friends while you’re on the platform. That doesn’t mean fake smiles & cheers, just be yourself and try not to engage in unnecessary fights over fictional characters or what book had the most handsome spine in the 80’s. If your friends and family want to leave a review for your book, it doesn’t hurt to try, but common sense should tell you that at least some will be biased and won’t reflect the true nature of your literary approach. You’ll also notice plenty of authors are giving their own books a five-star review, so if that’s allowed, it opens certain doors for some fans who happen to be your closest friends. A great way to approach reviews is to join an author’s group and review each other’s work based on genre preference. This way, you’ll get loads of goodies to read and it will be far easier to review a book in a genre that’s close to your heart. If you want to review each other on Amazon, be warned that it’s a minefield… anything can happen. 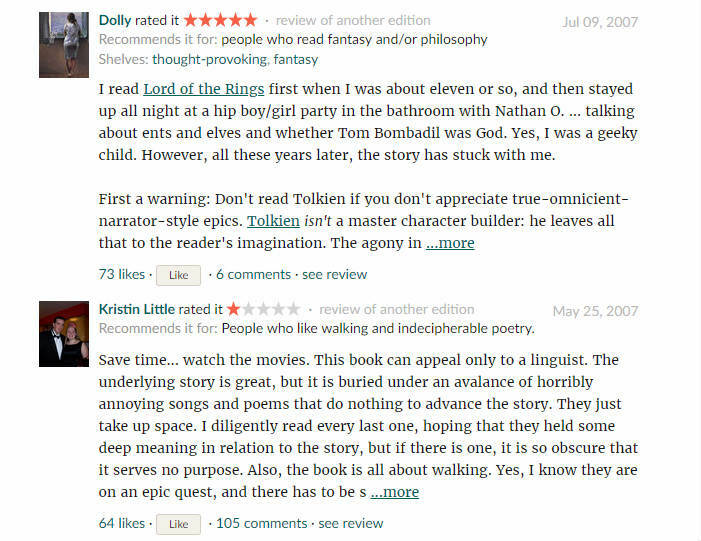 Whatever your take on reviews is, once you become an author and cross to the other side, you’ll find it harder to leave a one-star review (unless you really find a novel impossibly disturbing). This usually happens because you’re now aware of the hard work going into writing a novel, and if you ever had the misfortune of a one-star review, you very well know how it feels. Good luck, and if you’re on Goodreads, come say hi, here’s a link to My Profile 🙂 & happy writing everyone!